Fashion is an art, and you are the canvas! The fashion fiesta of IMI, New Delhi - Flamboyance, will be organized on the evening of Day 2 of KRITVA'18. It is an exclusive showcase of charisma and talent. Teams from across various B-schools participate in the event with alluring attires, charming aura and unprecedented themes. It is an ensemble of creative ideas along with glamour and talent. Teams, with their wow factor will leave the crowd spell-bound and enthralled with kaleidoscopic garment designs and captivating choreography as colorful, glamourous and jaw dropping models take center stage – Definitely not something to be missed!! IPL Bidding is a real time simulation for all the cricket lovers wherein the teams witness and experience the brains behind the rich IPL bidding process. They outbid each other for the best players and franchises. The game is based on the actual IPL bidding format and gives the teams a sense of fast-paced, highly dynamic environment that exists in the real bidding scenario. It aims to judge the prudence and intuition of the participants, and the skill with which they are able to analyze the cricketing world. First round is held as an online event where a large number of teams from different B-Schools actively participate. Top teams are shortlisted for the on campus round. They are invited to campus to participate in a three-hour long enthralling event. The teams need to be proactive and competitive in bidding for their favorite players. Managing their own budget and at the same time keeping an eye on other teams. A fast flowing and competitive atmosphere is bound to be created in the final round of the bidding. Attractive cash prizes await the winning teams. ..the ultimate Rock Band Carnage!! Come and experience the taste of music with adrenaline rush that flows when the guitar hits the distortion... Celebrate Music and let thousands of music lovers shout out... for more of the feet tapping numbers played in the battle field which sees none but the best of the. Come and experience the taste of music with the adrenaline rush that flows when the guitar hits the distortion! Celebrate Music and let thousands of music lovers shout out. For more of the foot tapping numbers played in the battle field, that sees none but the best of the warriors. presents Rock Band Competition "Battle of Bands" with the level of enthusiasm and zeal that surpasses the past every year. The bands shall be judged on the parameters such as Quality of Vocal and Instrument, Enthusiasm Level and Crowd Impact. Best bands will be awarded exciting prizes. Be it taking a pinpoint sniper headshot on an unsuspecting terrorist, or curving a free kick into the top corner, or racing to first position in the last half mile, the world of video gaming never ceases to amaze and entertain us. LANTHRASH is a Lan based gaming competition of Kritva'18, aimed at providing a platform to showcase strength, fortitude and skills in the world of gaming and conquer the arena! Based on Lan gaming, there will be 3 games played in this event: Counter Strike, FIFA and Blur. Rangmanch is not just another inter college street play competition, but an amalgamation of social views expressed in a never seen before avatar. In this event, each team is expected to prepare a play of maximum 15 minutes. The top two teams would be given prizes. Participants are free to choose their own theme which should be clearly communicated through their act. Do you think you are the Arijit Singh or the Shreya Ghoshal of your college? If yes then we ve got the right kind of event for you. Malhar provides you with a stage to put your melodious vocals to the test on the grounds of harmony, rhythm and beats. Whether you are trained or a novice, grab this opportunity of attaining the rush that only comes with singing live. Either the performances can be solo or duet but all would be judged on common parameters. The top two singers or teams would be given prizes. A dancer is not perceived great for technique but for passion!! DancOvation is an inter-college group dance competition, held under IMI’s annual Cultural and The teams have to present their dance performance before the jury and the audience. The teams would be judged on expressions and energy, coordination among the team members, stage coverage, formations, justification of the team name in the performance, creativity portrayed in the performance and adherence to the time limits. Dance is the expression of joy; it is the hidden language of the soul. A high-on-energy event that invites teams from all over the country to perform and win exciting prizes at DancOvation. This is a platform where you can amaze the audience with your crazy moves infused with your vigour and devotion for dance, and hence the theme: Infusion. The teams have to present their dance performance before the jury and the audience. The teams would be judged on expressions and energy, coordination among the team members, stage coverage, formations, justification of the team name in the performance and adherence to the time limits. No pain that we suffer, no trial that we experience is wasted. If you learn to endure the experience, you can win the world with grace. There’s no looking back, no rewinds, no adulterations as you’re going to enter this unconquerable battlefield where all things move at a lightning pace filled with a thrilling experience at every level. Things will seem to be in control but they might get uncontrollable as you get started with this unseen and unexperienced challenge. Bring your best show in! Wish all the luck to all the teams, May the best team win! 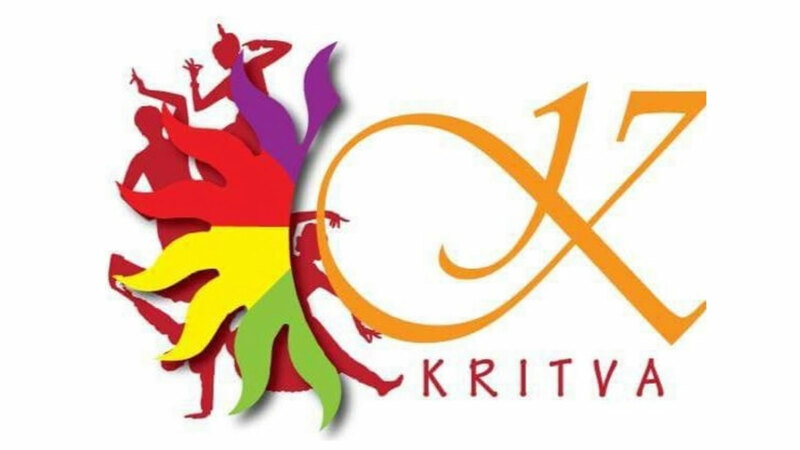 one of the most awaited events of Kritva’18, such event where people from the college come together to showcase their true sportsmanship, while bringing the inspiration and motivation for a greater cause. It is a platform for individuals to congregate in order to create awareness and raise funds for a noble cause. Jagriti – the social cell of IMI along with the Sports club will associate with an NGO to conduct a mini-marathon involving people from IMI community, NGO volunteers and students from other institutes wherein the marathon will provide them with sense of satisfaction of contributing towards significant cause.